Susan Kansky brings 8,000 hours of training in Asian Bodywork & Energy Medicine to addressing her students health challenges with Qi Gong and Tai Chi. She has been teaching Chi Gung and Asian bodywork since 1986. Susan specializes in teaching Energy Arts in private lessons in person or long distance via Skype. Learn a major internal chi component of Tai Chi, Opening and Closing, that you can do yourself in Circling Hands movements. Learn to help others with this potent form of Energy Work. Reverse or slow the aging process by releasing tension from the organs, glands, spine and brain. Clear the effects of life and emotional stresses, release deeply stored tension, increase and balance energy flow in the acupuncture channels of the body. Opening and Closing gives your joints elasticity, spring and flexibility. It improves chi circulation; the circulation of fluids in your joints; smoothes and releases physical, mental and emotional blockages in your body; & increases awareness of your energy. Twisting, spiraling and myofascial release will also be taught. 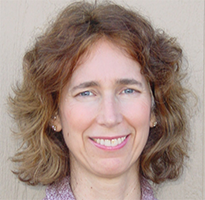 Susan is a Senior Instructor of the Energy Arts system taught by Master B. K. Frantzis. Circling Hands Qigong's gentle movements are appropriate for any age and fitness level. Course fee: $347 or $277 with early registration by March 30.